Despite losing key players to graduation such as quarterback Ryan Meredith, running back/defensive back James Williams, running back/linebacker Tony Toledo and wide receiver/defensive back Dorian Houshoulder, Broussard likes what he sees prior to Burbank’s season-opening game at Monrovia on Aug. 28. The first home game will be against Ayala on Sept. 4, and the initial league encounter will be against defending champion Crescenta Valley at Moyse Field on Sept. 25. Broussard added: “There’s so much skill on this team. We have some kids who have moved up the ranks. They’re going to get an opportunity to shine. The Bulldogs, who finished 8-4 last season, 5-2 for third place in league and advanced to the Southeast Division quarterfinals, will have to replace Meredith, a cool-headed field general and Williams, one of the most prolific backs in school history, and is a member of the Washington State football team. Burbank’s four losses came at the hands of Crescenta Valley, which went 14-0, and Muir in league action, Canyon and Salesian in the playoffs. 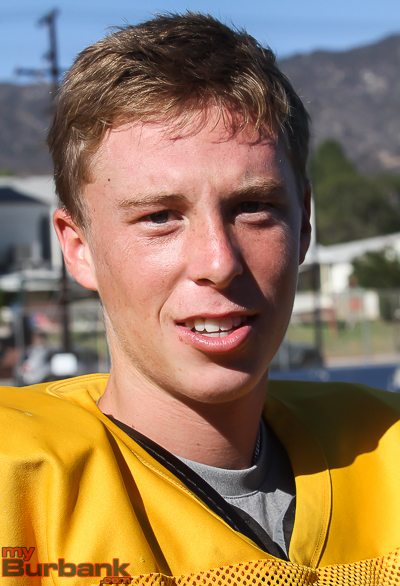 This season’s quarterback will be junior Guy Gibbs, who stands 5-foot-11 and weighs 170 pounds. Gibbs will be joined in the backfield by junior Nick Warren (5-9 and 180), junior Jake Kelley (5-11 and 190) and sophomore Darnell Williams (5-8 165), who is James’ younger brother. When Gibbs throws the ball, it will be to senior wide receiver Noah Powell (5-10 and 165) and junior Forest Fajardo (6-0 and 180). Not much will happen unless the offensive line is doing its job and they include senior center Richard Cifuentes (5-9 and 200), senior guards David Chavez (5-8 and 215) and Nick Meier (6-3 and 270), and junior tackles Scott Breslin (6-3 and 270) and Tim Han (6-0 and 245). On the defensive side, the Bulldogs will employ a 3-3-5 formation and will be anchored by junior nose guard Danny Porras (6-2 and 245), who will also be the punter. The rest include senior end Jacob Bettis (6-2 and 220) and senior end Jha’rod Horhn (6-1 and 195). The linebackers are senior David Medrano (5-10 and 185), Kelley and junior C.J. Mays (5-9 and 170). 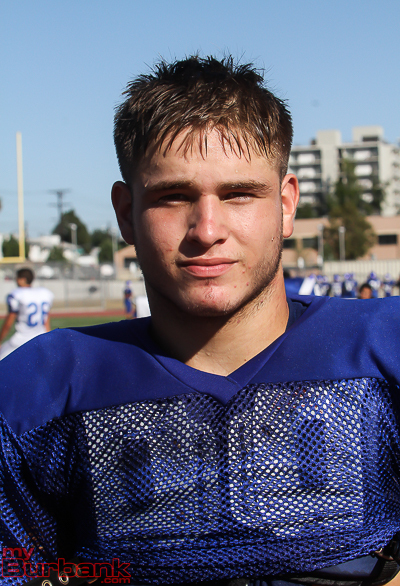 Burbank’s secondary shapes up as follows: Fajardo and junior Joey Miller (5-8 and 160) at cornerback, junior Andy Reyes (5-9 and 185) at monster, senior Aki Arlington (5-10 and 175) at rover and junior Miguel Vasquez (5-10 and 165) at free safety. 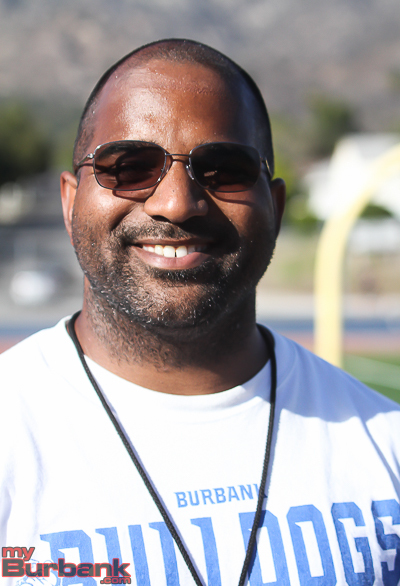 This entry was posted in Football, Sports and tagged Burbank Gridiron Preview, Football, Preview on August 26, 2015 by Rick Assad.